Foursquare has taken its share of lumps from industry watchers in recent years about its slow user growth, but critics have never rolled their eyes at the promise of the app's location data. And now the New York-based company is ready to further monetize all of that precise consumer information. Today, it is introducing Pinpoint, a technology designed to let marketers use Foursquare's data for ad targeting across mobile devices and the Web in general. Thanks to 7.5 billion check-ins on Foursquare—with some coming more recently via its companion app, Swarm—the 6-year-old company has accrued a rich set of stats about where consumers shop and what they're interested in buying. The Foursquare applications programming interface (API) also powers location tags for popular digital apps like Pinterest, giving the company even more mobile data. Foursquare has inked deals with various ad tech notables such as Google, Turn and Drawbridge, while announcing Samsung Galaxy, Wild Turkey, AT&T, Choice Hotels, Coors Light, FedEx, Jaguar Land Rover and Olive Garden as brands that will be the first to use the system. In mid-May, the program will become more widely available to marketers. Steven Rosenblatt, Foursquare's chief revenue officer, said his team is also forging agreements with big publishers to help them better target their promos. "We've been asked all of the time by [ad-tech companies] to use our location data for targeting purposes," he said. "For the first time ever, we are using that location data outside of Foursquare users." Rosenblatt recently stated that revenue has doubled year over year since his arrival in 2012. 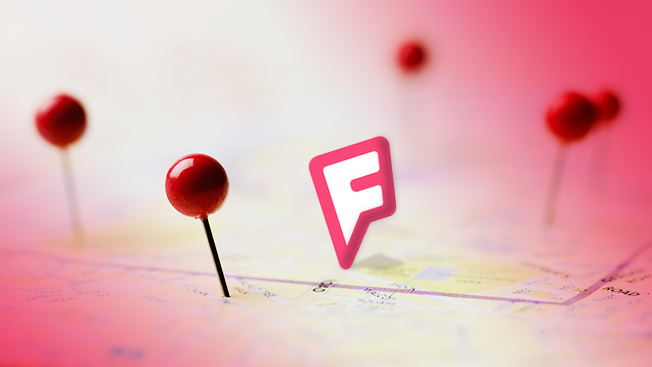 Can Pinpoint have a big impact on Foursquare's bottom line? "I think this has massive potential," Rosenblatt answered. "One thing we've always been asked is, 'How do we take what you have built and apply it for hundreds of millions of people?' That's a massive opportunity. If you think about where mobile advertising is going, the Holy Grail is driven by location. The problem is, while there's been a lot of noise around location, there's a lot of bad location data out there." Indeed, the probability of location data being wrong has dismayed mobile marketers for years now. Another company, xAd, has also tried to seize on such concerns. Last week, it announced an audience-minded ad product called Blueprints, which zeroes in on how many consumers are in retail buildings. Foursquare's data could indicate a better sense of purchase intent, suggested Jeff Malmad, Mindshare North America's mobile lead. His agency will employ Pinpoint for client Jaguar Land Rover with a particular eye on the car brand's competitors. In just one example, if an ad-tech partner automatically tells Foursquare's system a consumer is at a particular latitude and longitude, the parties can use that information to retarget ads across the Web. So Land Rover can reach shoppers who have visited Chevrolet dealerships. "The geo-patterns will allow us to reach our core consumer at scale," Malmad said. "From a big-ticket automotive perspective, it's really imperative to target people based on where they have been. The places people go are the best indicator of who they are." For about a year, Foursquare has let marketers target its users on other sites and apps with a product it calls Foursquare Audience Network. Now, marketers can use its data to also reach non-Foursquare users. It appears to be a significant move by Foursquare, which claims to have 55 million users, giving it another cash stream outside of in-app advertising that appears on Foursquare and Swarm. Its investors such as Microsoft should be happy about the development.